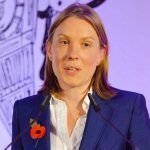 Tracey Crouch, the UK Minister of Sport, has stepped down from her position in protest, citing her government’s “unjustifiable” decision to delay new restrictions on fixed-odds betting terminals (FOBTs). 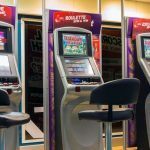 Politicians approved the implementation of significant betting limits on the machines earlier this year. 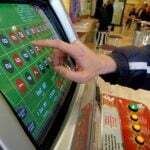 Amid criticisms that the machines were highly addictive and predatory, the decision was made to cut the maximum allowable bet from £100 per play to £2 ($2.75). The machines work at a furious pace, meaning at £100 per bet, someone could theoretically lose £18,000 ($23,300) in one hour of play. It was Crouch herself that launched the study into the terminals and the effect they were having on British society. The 34,000 machines in the country bring in an average of £50,000 ($64,850) each, meaning Brits are out of pocket some £1.8 billion ($2.3 billion) every year. And she’s accusing those in power of placing profit at a higher priority. The change in betting limits was supposed to be implemented early in 2019, but lawmakers decided to push that back to October, 2019. It was a decision that, in Crouch’s view, was indefensible. In her letter, she implies that the reasons for the delay are anything but well-intentioned. “Unfortunately, implementation of these changes are now being delayed until October 2019 due to commitments made by others to those with registered interests,” she writes. Many, including Crouch, believe that British politicians with ties to the gaming industry caved to pressure from bookmakers like William Hill and Ladbrokes. Those companies claim that the changes would come at the expense of 21,000 jobs, and they stand to lose out on billions in revenue. Those comments came as the British Government announced a significant tax increase on offshore gaming companies. That tax was specifically designed to offset the loss in FOBT revenues, leaving many to wonder why a delay in the new limits was necessary. Jeremy Wright, the Secretary of State for Digital, Culture, Media, and Sport justified the decision in parliament this week, pointing out that the implementation of new limits was actually pushed forward from the original suggested date of April 2020. 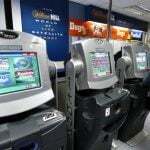 He says that local bookmakers not only need time to adjust to the new financial reality, but offshore bookmakers need to be able to prepare for the six percent tax increase headed their way. Wright’s position has found little support outside of his own party, however. Meanwhile, a charitable organization called Christian Action Research and Education called it a “dodgy backroom deal,” suggesting that the idea that bookmakers need more time is “simply absurd,” according to The Guardian newspaper.